Digital technology creates many opportunities to empower citizens, improve society and grow economies. But the fast pace of change is disrupting the labour market, making it necessary for people to adapt to the new demands of work, and widening the gap between those who have the skills to take part and those who don’t. 40% of people who use software at work do not know how to do so effectively and almost half the European workforce does not have adequate digital skills. As technology transforms almost every workplace, it is increasingly important that citizens are supported to learn the competencies they need, from technical expertise to collaborative problem solving, creativity, and higher order cognitive skills. Policy must also adapt. To foster a society in which everyone can prosper, policymaking for skills needs to be more dynamic, more inclusive, and more responsive to digital transformation. That is why we have launched Digital Frontrunners, a unique Nesta-led programme for future skills, supported by Google. 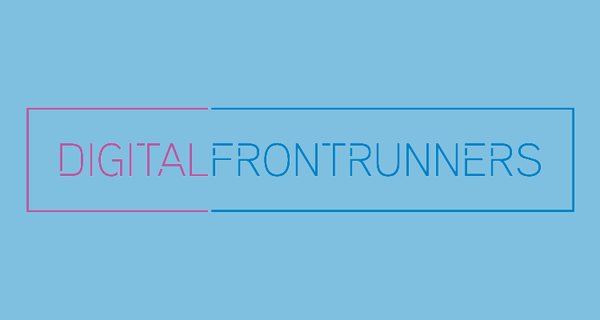 Digital Frontrunners is an initiative for senior policymakers in the Benelux and Nordic regions that supports the creation of better skills policy through collaboration, research and experimentation. 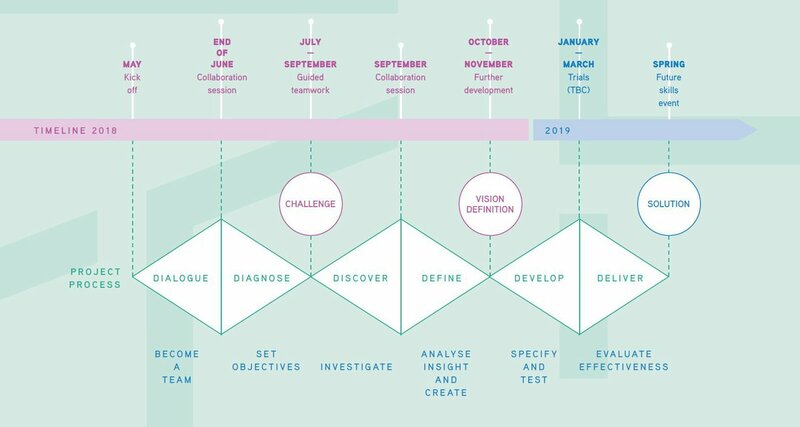 Through a tailored twelve month programme of workshops and prototyping, Digital Frontrunners participants will develop ideas and approaches that enhance the capacity of their governments to build a workforce fit for the future. The programme builds on the work of Readie, Nesta’s European policy centre, and its research into upskilling and reskilling. It also takes inspiration from Nesta’s extensive experience testing new approaches to policymaking and running programmes for senior officials. Our Global Innovation Policy Accelerator, for example, has helped 50+ participants from 11 countries to develop and test innovation policy. On 14 May we went to Stockholm to launch the programme with 12 senior policymakers from Sweden, Estonia, Finland and Belgium. 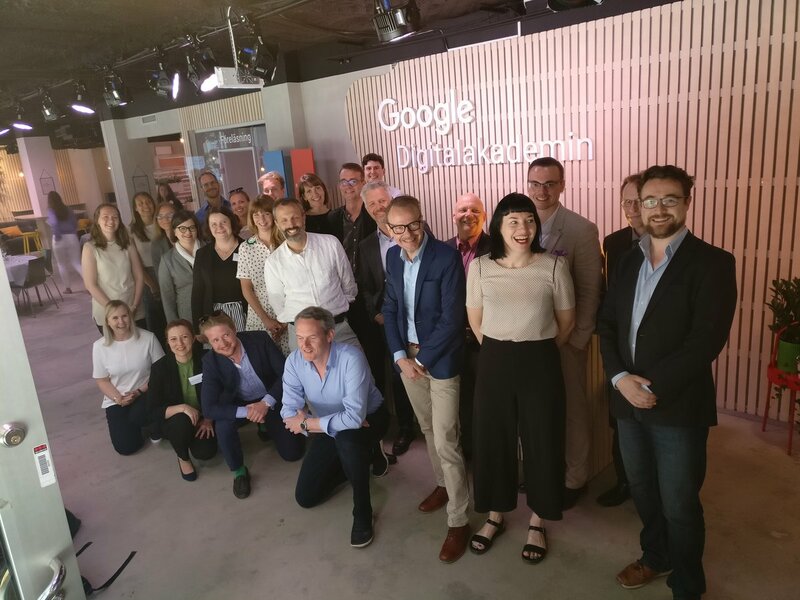 We were also joined by experts we had invited to speak on the topic of the future of work and skills, representing organisations such as Demos Helsinki, Futurion, FutureGov and Kompetanse Norge. 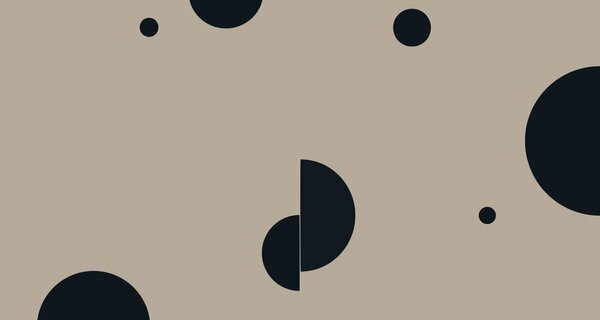 Per Lagerström of Futurion shared a Swedish future workplace study of finance industry employees that found half of those surveyed have a plan to learn new skills, but only 40% of these are actually doing anything about it. Many cite that a lack of support from their employer is a barrier. One reason for this may be the perception of costs. We heard that employers tend to focus on the upfront costs of training rather than the value more skilled workers will bring. To the common question, ‘What if we train them and they leave?’, one participant suggested the response: ‘Well, what if you don’t train them and they stay?’. Being digital demands that organisations transform to become more open and more collaborative. Eddie Pedersen of Kompetanse Norge described how Norway’s Skills Plus programme has produced skills frameworks for different roles that can be used by trainers, employers and citizens. This has created a shared vision for necessary skills and enables stakeholders to collaborate more easily. While it is possibly not the newest approach, user-friendly frameworks provide an intervention that helps map stakeholders, competencies, as well as skills needs and skills demands. A different approach, perhaps unsurprisingly is a digital one. In Sweden, Erik Sandstrom is leading the Public Employment Service “digital me” trial, a platform that helps job seekers, learn new skills which help them navigate everyday life. The platform covers topics such as online security, for example what cookies and digital footprints are; digital communication, such as sending an email and using social media, through to getting a job online, searching ads effectively and preparing a digital CV. We heard that people, both as individuals and within organisations, are often trapped in mindsets that do not allow for effective digital transformation. A lack of motivation to adopt new approaches and skills is holding them back. This is largely an issue of communication; as Bea Burks explained, ‘People learn mindsets from experiences, not textbooks’. The problem, articulated by Madeleine Albright (via Bea), is that ‘We are taking 21st century challenges, evaluating them with 20th century ideas and responding with 19th century tools.’ To effectively improve the environment for future skills, policymakers need to start thinking about how they can use experiences to change mindsets at scale, beginning with those in their own departments. We’d like to thank our inspirational speakers and enthusiastic participants for taking part in our recent launch. The next Digital Frontrunner workshop takes place in The Hague at the end of June and brings together governments, industry representatives and experts. If you would like to find out more or request and invitation to join the programme please email the team at [email protected]. 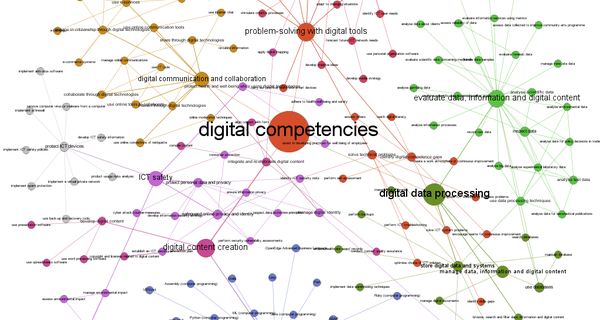 What are 'digital skills'? Readie offers four steps to a practical definition, and presents multiple useful frameworks.